As you follow the lives of aristocrats and servants in this acclaimed series, keep an eye out for sundials. Attached is a photo noticed by NASS member John Foad. Want to search for yourself? Look for the dial in front of the hospital. The complete set of the series can be found on Amazon and Shop PBS. And while you're at it, look for sundials in Foyle's War, Midsomer Murders, and Father Brown. 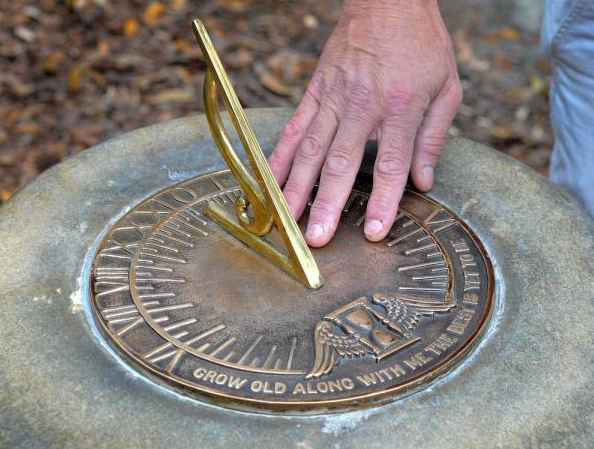 You'll be surprise how many sundials you will find. Their website has many features including the first two time-lapse movies of the giant sundial showing the all-day shadow on the summer solstice and on the autumn equinox. More time lapse videos will be presented during the months that come. In the near future they will improve the present camera with higher-resolution and greater reliability. 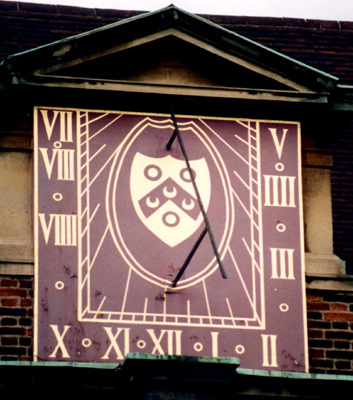 A flurry of sundial webcams existed in 2004-05 when the EarthDial Project, the invention of Bill Nye and Woody Sullivan, was run under the auspices of The Planetary Society. The Project, with a motto Two Worlds, One Sun was run in conjunction with the MarsDial Project, which involved the Mars Exploration Rovers Spirit and Opportunity, each of which landed on Mars in 2004 with a small calibration target turned into a Mars sundial on its deck. 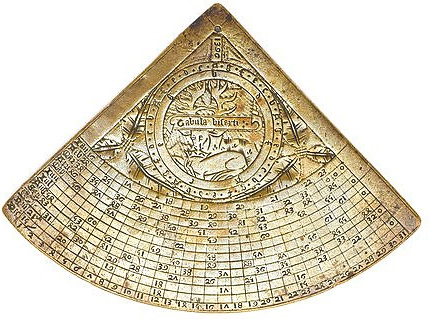 People around the world were urged to build sundials of a standard design and display them to the world using a webcam. Click Here to See Time Lapse Movies of Some of These Dials. 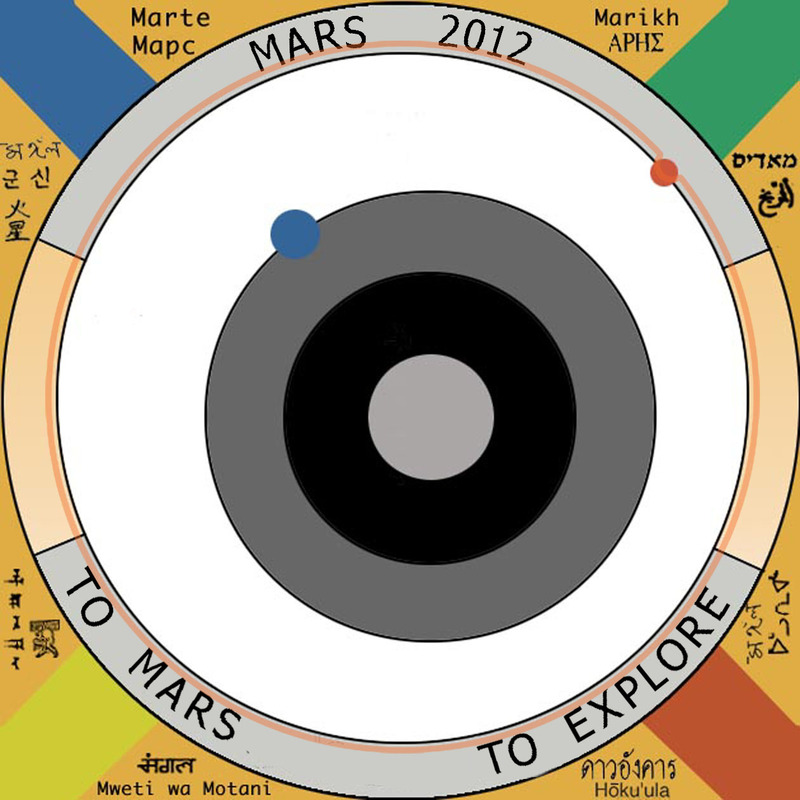 A new Mars sundial will arrive red at the red planet next August onboard Curiosity. 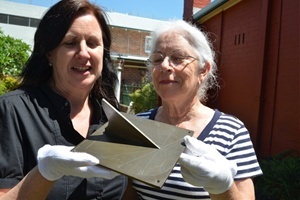 The words “sundial” and “convict” are not often used in the same context, but that is the situation in Port Macquarie, Australia when a vintage sundial made around 1840 was put on permanent display at the Port Macquarie Historical Museum. 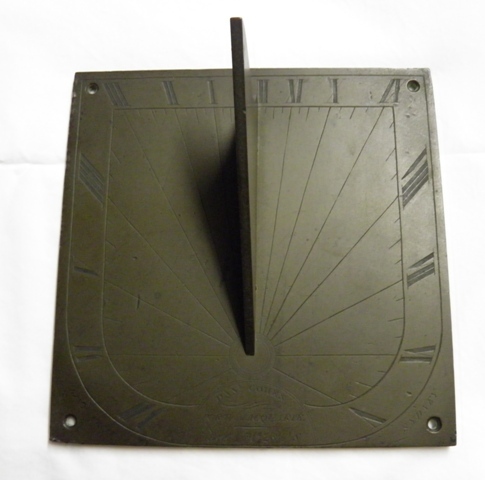 The dial was made by colonial engraver Raphael Clint and was once owned by Danial Cohen, who, convicted in 1830 of receiving stolen property in Lancaster, was sent to Port Macquarie, a penal colony at the time. What’s worth more than £150,000? An hour horary quadrant dating to 1396 with the personal seal of Richard II. It is up for auction at Bonham. The quadrant, owned by Christopher Becker in Australia, spent the last twenty years in a bag of pipe fittings. An ancestor of Becker apparently came across the quadrant 150 years ago somewhere in Northern England before its final resting spot in Australia. This quadrant divides the day into 24 equal hours. 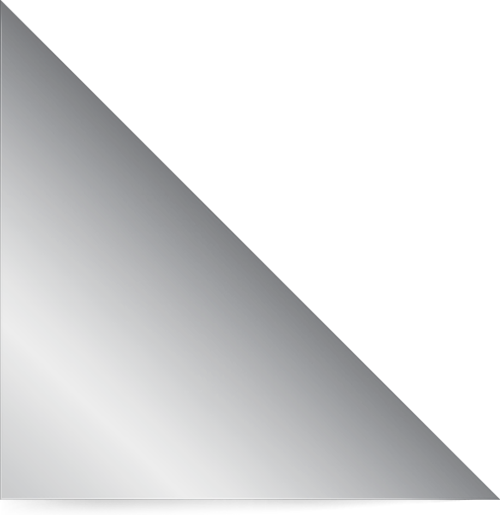 With a plumb-line attached to one of its corners, pointing the quadrant towards the sun allows the time to be read at the intersection of the plumb line and one of the engraved scales. On its reverse, the quadrant shows a badge depicting a stag lying down wearing a coronet around its throat, symbols associated with Richard II. The oldest European astrolabe dated 1326 is credited to being used by Chaucer (1342-1400) and resides in the British Museum. “Two Worlds One Sun” lives on as the Mars Science Lander called Curiosity makes its way to Mars, once again carrying a camera color calibration target that will be used as a sundial. 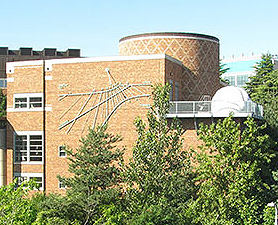 The original Mars sundial was the idea of Bill Nye, the Science Guy, and designed by Professor Woody Sullivan of University of Washington. The spacecraft was launched toward Mars on 26 Nov 2011. Onboard Curiosity the camera calibration sundial has four edges each containing a panel of text and image, written by Jim Bell, planetary scientist from Arizona State University and the Mars Exploration Rover team with graphics designed by artist Jon Lomberg. 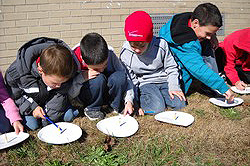 Second-grade students at Connetquot Elementary School in Islip, New York, created sundials using paper plates and pencils. The pencil gnomons were set mostly vertical by the students and then they traced the resulting shadows at three times during the day. This helped teachers Leslie Davis and Melissa Love demonstrate the sun’s apparent movement in the sky and talk about the earth's rotation as the cause. "The students really had fun," said Love, "and they were able to recognize that a sundial is a tool that can be used to measure time."